This little house has good bones. When I first saw it I sure thought it was cute. 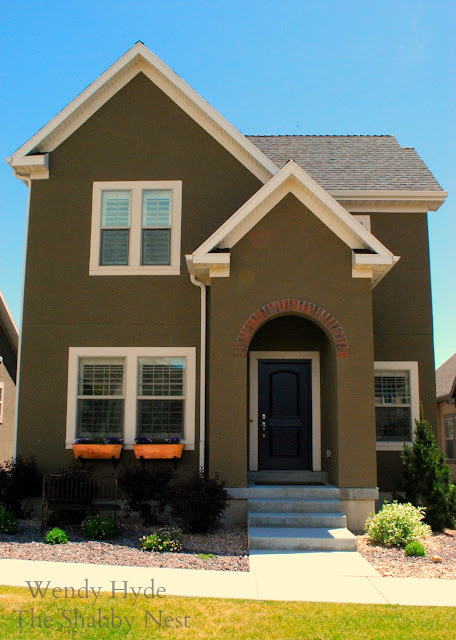 Although the exterior color is not my favorite, I do love how it contrasts with the white trim. It has a pretty little brick arch above the front door, and nice windows. But it needed a little something. 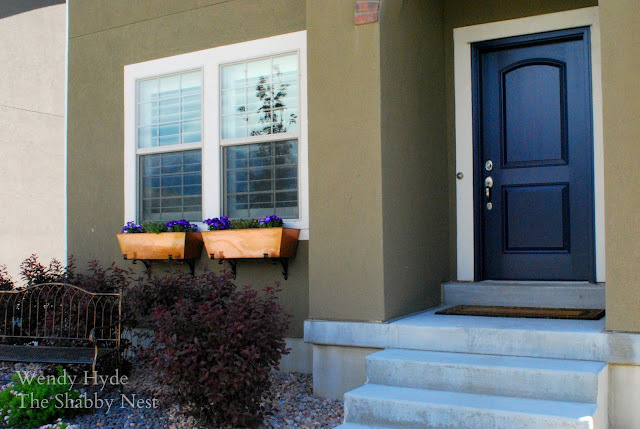 The community I live in has an HOA, so I was fairly limited in what I could do to the exterior. But the changes I made, make this little house a bit more cottage-y and give it some fun personality. Although the changes are minimal, I feel like the make a huge difference! 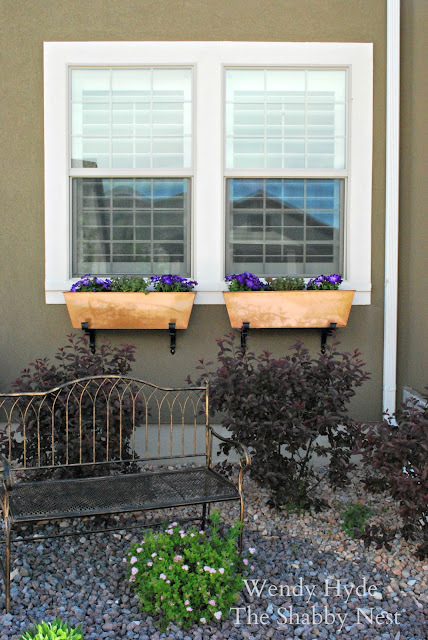 The first thing I did was add flower boxes (which I've been dying to add ever since we moved in). 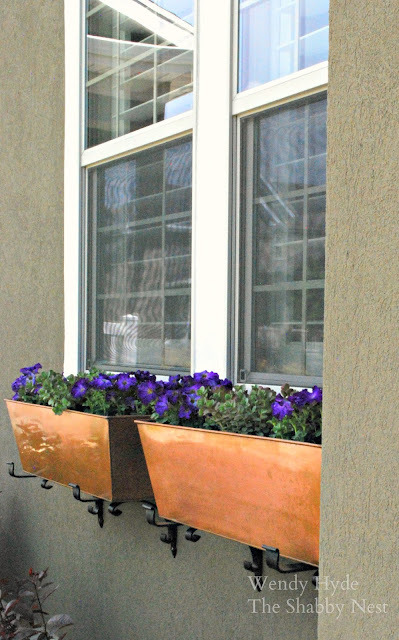 These are the Cardiff Planters from Birch Lane. I am in love with the copper finish because it echoes the color of the brick over the doorway - at least until they start to get that pretty green patina. 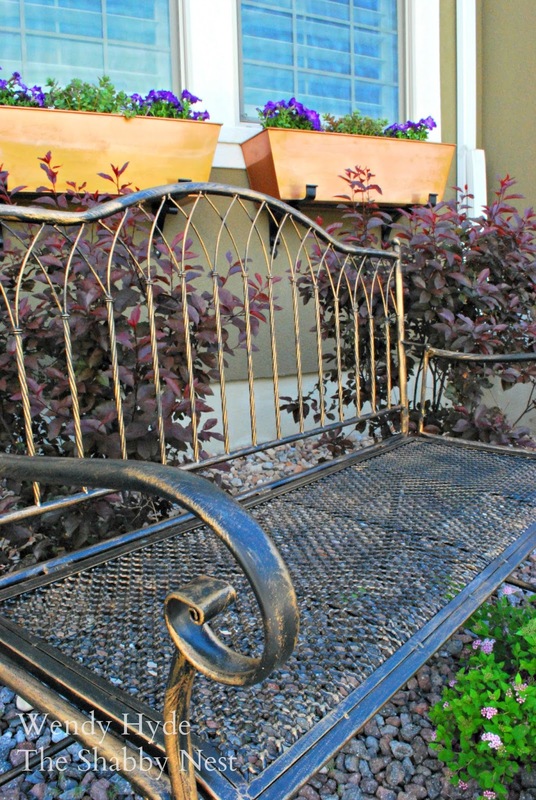 And then I added a pretty bench in front - the Eden Bench from Birch Lane. (The rocks were chosen by the HOA for landscaping because they work well with the dry Utah climate. I'd honestly rather have grass...) The bench goes beautifully with the flower boxes...and the coolest part is that it actually folds up, so I can store it away easily during the winter months. 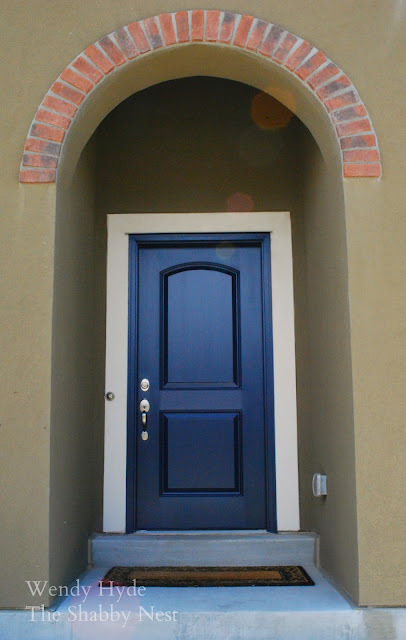 Then I gave the door some WOW factor by painting it a gorgeous navy blue (Naval by Sherwin Williams). I can't tell you what a difference it makes...and it's even prettier in person. Very rich and inviting. I chose to paint it in a semi-gloss finish so it has a subtle sheen to it. 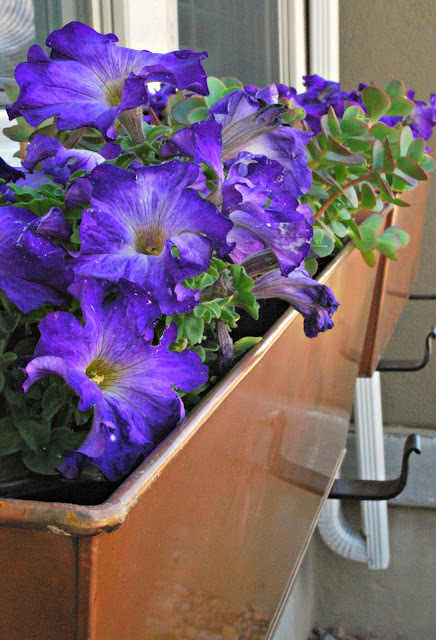 I took the kiddos with me to buy the flowers and my daughter helped me choose the purple petunias for the flower boxes to echo the color of the door. Amazing what a few well-thought out details can do for the overall look of a house. 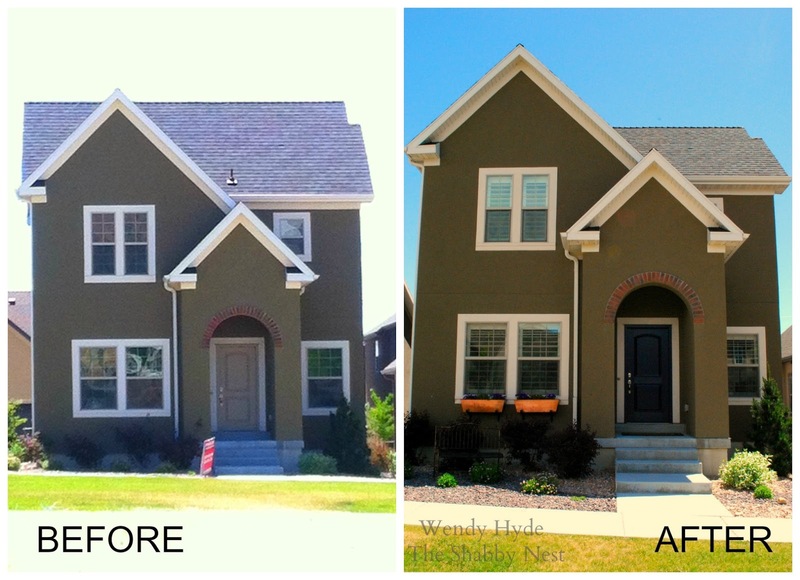 And Hydeaway Cottage seems to be much happier with her mini-makeover.